Call 603-569-9599 now for your free personal injury case evaluation! 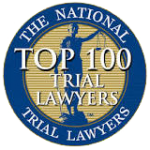 Top ten nationally ranked personal injury law firm serving Manchester, Concord, Nashua and many other areas! The Law Offices of Monzione P.C., of New Hampshire, represents people in Manchester and other areas who have been involved in a wide variety of accidents including slips and falls, car accidents, motorcycle accidents, Segway and hover boards accidents, and other accidents. We also represent people who have been injured in accidents while using public transportation such as planes, trains, buses, taxis, uber rides, ships, ferry boats, sightseeing tours, and more. A personal injury claim may arise where one is injured by the negligence or the intentional act of another. The injured party may recover monetary damages for pain and suffering, medical expenses, lost wages and other economic losses. From motor vehicle accidents to airplane crashes, accidents occur frequently and leave the victims in distress. 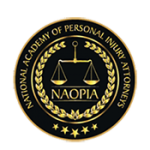 If you have been involved in an accident, you may need an experienced personal injury attorney on your side. At the Law Offices of Monzione P.C., we take pride in our long record of proven success in personal injury matters. We go the extra mile for our clients to achieve the best possible results. Our dedication to helping our clients is the driving force behind our firm’s success! Call 603-569-9599 now for more information and to get your free,no obligation, personal injury accident case evaluation!